It seems like every damn year around this time I make the statement that I just don't feel like I've covered enough black metal... and to be fair, some of that has come with schedule complications I've been struggling to work through over the past several months, but this review has been overdue for long enough! So, Vallendusk. I first covered the Indonesian band way back in 2015 when I working to get into black metal, and while I had really dug their breakthrough album Black Clouds Gathering from 2013 for flat-out insane guitarwork and some really striking melodic composition balancing acoustic passages with more atmospheric black metal, their follow-up didn't quite resonate as much as I had hoped, mostly through expanding their sound towards folk metal in ways that only seemed to detract from a rock solid core. And what got a little frustrating is that the talent was still very much there, but either through production missteps or the introduction of some awkward clean vocals and organs or just a few weird compositional choices held the project back for me. Still a good record, just not quite great... but for all intents and purposes, Vallendusk had redoubled on the raw atmospheric black metal this time around for Fortress Of Primal Grace, and while I'm extremely late to the party, that was effectively what I was hoping they'd do here. And considering nobody else on YouTube seems to have covered this, might as well be me - so what did Vallendusk deliver with this? So I have to admit, folks, I struggled with this review - and if this was worse, it'd be a prime candidate for the Trailing Edge, because I really don't have a lot to say about Vallendusk's newest album. 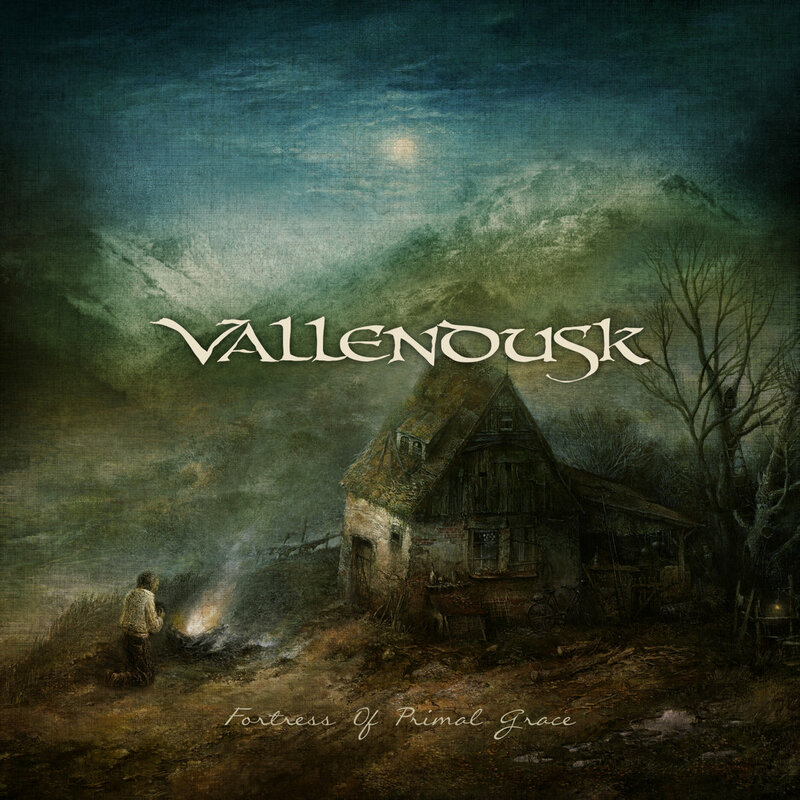 But I've also made a promise to myself that I would never put a great album on the Trailing Edge when it deserves more attention and shine, so here we are - Vallendusk went back to their more guitar-driven atmospheric black metal, and it sounds terrific, exactly what I wanted them to do. And while I'd struggle to call it as good as Black Clouds Gathering from 2013 - that was just lightning in a bottle that year and there are a few missteps that haven't totally been corrected - it's Vallendusk once again playing to their strengths... and thus not giving me a lot I need to say about this album beyond calling it pretty great. Well, okay, that's not quite fair, because while the central formula does seem pretty straightforward - strong central guitar melodies well-placed with a diversity of tones and progressions, heavy enough to sound primal and impressive but distinct enough to hold a melodic core - I always knew Vallendusk was capable of delivering this, and the issues I found with Homeward Path in 2015 were more around peripheral details or elements that detracted from that core. And let's be clear, not all of these are gone - I'm still not really a fan of the clean singing on 'Coronation', but more because it's just not as commandingly placed within the mix, and it comes across better as background on 'Higher Ground'. And while I could nitpick about the cymbals occasionally mixed a shade muddy, what gets a bit more distracting is the usage of bass guitar and groove. Now to Vallendusk's admirable credit they try on songs like 'In Reverie' to damn near give a bass solo against the odd gurgling chug of the rhythm guitar, which is an interesting experiment that I wish I liked a little more - it leaves the melody feeling a bit muddy and indistinct instead of letting the bass pump up the groove and make it feel a bit more dynamic. That is the other thing: for as brilliant as the surging melodic passages on 'The Prescences', the great acoustic-supported groove on 'At The Heart Of The Storm', and especially the beat switches across squealing acoustics and brighter organ leads on 'Eons', I was concerned about the lack of greater dynamics on this record - seven songs, nearly all comfortably over seven minutes, even with strong melodies you need to be able to transition or add stark melodic moments, which is one reason I'm more charitable to the thrash-leaning passages with noisier rhythm guitar, the slower, folk-metal melodies, or especially that gleaming, keyboard assisted tableau on 'The Shield'. And while there is enough here to make individual songs stand out, I do feel giving the low-end grooves a little more diversity or focusing more on other dynamics in composition could help more of these stand out. Granted, what's also doing a fair amount of heavy lifting are the lyrics, most of which I couldn't discern from the frontman's growls and screams until I remembered a PDF with the lyrics is attached to the digital copy of the album, so let's get into them! And the funny thing is that they're not that far removed from the last album - humanity accepting the wonder and danger of the natural world and their smaller place within the scope of the universe, and those willing to humble themselves will be able to find transcendence. No, the environmental themes don't quite feel as grounded as when Panopticon delivers them, but I actually like Vallendusk's lyrical, borderline fable approach here, especially on songs that are more story-driven like 'Coronation' and 'The Shield', where the men who are willing to humble themselves in the face of spirits and forces beyond their control are rewarded and those seeking to dominate are driven low. That's not saying humanity shouldn't continue to try and advance oneself - Vallendusk seems to treat that as a given for the old wanderer on 'Coronation' or the tireless adventurers on 'Higher Ground' - but when faced with storms that only grow more mighty and are the most consistent symbol across this album, you have accept your limit and your place in that primal world, and as a song like 'Eons' points out, it's been like this for millions of years. And when you look at the title of the record, the fortress is not one of stone or metal but of the mind - making peace and conducting oneself with grace amidst the primal world... which is an area where more dynamic or meditative instrumental passages could have helped emphasize, but I'd still argue it works for this brand and texture of black metal regardless. So yeah, it's a great record - not the most diverse of atmospheric black metal projects and I wouldn't put it among my favourites of the past few years in which I've covered the genre, but great melodies are great melodies, especially when Vallendusk gives them the room to breathe and content that's thematically sound. In other words, it hits the balance I love to hear in black metal between sweeping, melodic and atmospheric and genuinely raw and intense, and for me, it's getting a long-overdue light 8/10, absolutely recommended. Yes, I know I'm late to the punch with this, but if you're looking for an hour of guitar-driven atmospheric black metal that really fits the bill, Vallendusk delivers here.